Who Let the (compiled) Dogs Out? Mitchell Rose: Comedic Short Films; also on YouTube. [direct link] funniest cat ever. America’s Top 40 host (Real Media) grapples with the emotional issue of death… and goddamn uptempo records. Outtake from fadetoblack.com. Japanese Sound effects and what they mean. 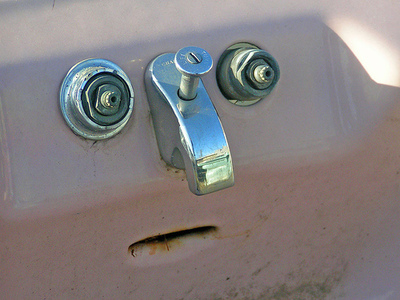 Great, great face in a sink from moonbird. For more fun, felicitous face photos, see Flickr’s “Found Faces” group pool. This one is great, and so is this. And this. Too many to list… just go have a look. Mouse Balls as a Field Replacement Unit (ca. 1991). At MetkuMods (Mod Gallery here). The dark side of LEGOs revealed. Funny list of cinema sound silliness from filmsound.org. Create your own South Park avatar. A slightly unusual chatroom Romeo; transcript only. Warning: Don’t try this at home..
No, no! We said behind you, *b e h i n d* you!. 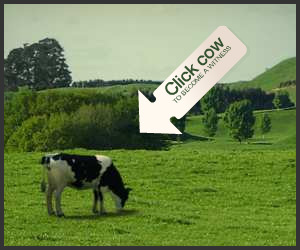 For more fun .gif animations, Start here. Or check out some clever video shorts. Our new favorite web comic. From the Big Bang to the year 2079 – in outline form, with amusing observations: “5,000,000 years ago, primitive forms of humanoid break off from the evolutionary ape line, lose their hair and immediately begin to feel self-conscious about it“. Video: The History of the Universe in 60 Seconds or Less. Sam’s Archive – Making an F-16 from a cereal box, some Scotch tape, and a penny. Link: Luxuriant Flowing Hair Club for Scientists is a club for scientists who have, or believe they have, luxuriant flowing hair. Link: Dangerous Hacker!” href=”http://www.jellyslab.com/~bteo/hacker.htm”>Total Illusions – The Forums -> Dangerous Hacker!. Translation from a German IRC chat transcript, wherein the dangerous hacker “bitchchecker” tries to wreak havoc on another poster, with hilarious results. Link: South Park’s TIMMY Unofficial Fan Page. Link: The Torture Tape Experiment. "a tape so wretched and foul that anyone who listens to it for 24 hours will never be able to think straight again". Kind of funny; MP3s are at the bottom of the page. Link: 213 Things Skippy Is No Longer Allowed To Do In The U.S. Army. Photos of aviation, military, etc. mishaps. I’m laughing at YOU, dude.